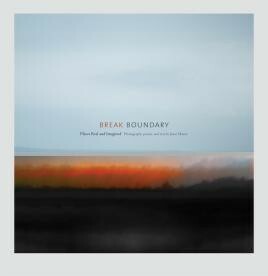 "Break Boundary” refers to the transformative point at which any system suddenly and irrevocably changes from its original state into something new. Coined by Kenneth E. Boulding in 1963, the term serves as the underlying metaphor for the photographs of Jenee Mateer. In her original works of art, the horizon that divides land, water, and sky shifts and multiplies producing bands of varied colors and luminosity that transform the natural landscape into imaginative "waterscapes” and challenge our understanding of photography. Reminiscent of the abstract paintings of Mark Rothko and the photographic seascapes of Hiroshi Sugimoto and New Mexican landscapes of Edward Weston, Mateer's images are layered photographs of the natural world assembled to suggest imaginary places where light, water, land and sky coalesce into rhythmic patterns of shimmering opalescence or luscious color. Break Boundary features 34 of Mateer's waterscapes and also includes her opening essay about the work and two poems by the artist, "The World Is Water" and "The Sky Is Lemonlime," that separate the first series of images from the second series and offer a deeper look into the artist's thoughts about the work. In the concluding essay by Francine Weiss, curator of the Newport Art Museum, Weiss writes: "From surface to self, Jenee Mateer takes the viewer on a journey from one psychological and spiritual state to another. In Mateer's "waterscapes,” the conventional or anticipated boundaries between land, water, and sky begin to vanish; horizons multiply and join; and the break boundary emerges.